The New Royal Trek enhanced form of The Royal Trek. The trail was frequently followed by His Royal Highness the Prince Charles of United Kingdom in 1980 AD. Prince Charles got fascinated by the spectacular views of the Annapurna, Dhaulagiri, Manaslu and many more mountains and had fun trekking in the deep forests of Panchase and its tranquil environment with a lot of inhabited and visiting birds. The route lies along the high ridges of the south Phewa Lake and for the first three days is generally at altitude of around 4500 to 7000 ft (1100 to 2500 m). This trek is best done from the early October through the season until May. The Pokhara valley itself gets quite hot in the late spring but temperatures in most of this route should remain pleasant in presence of sonorous bird and rhododendron/whiete Michelia. 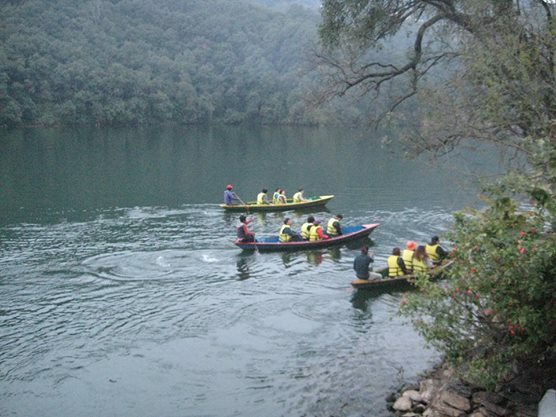 The New Royal Trek begins and ends in Pokhara. We have combined this trek with thrilling Trishuli white water rafting and jungle safari in Chitwan national park to offer you a life time experience. Today is your arrival we welcome you upon your arrival at Kathmandu’s TribhuvanInternationalAirport. Transfer to Hotel in Kathmandu or your choice of Hotel in KathmanduValley (Kathmandu, Patan and Bhaktapur).Arrival city briefing follows after Hotel check in concerning the necessary formalities on your tour and trek program. Depending upon your arrival time you may spend free time visiting nearby historic/Countryside areas or resting. Half day sightseeing in Bhaktapur World Heritage site where your guide will accompany you to the UNESCO enlisted temples. They boast the superb ancient and Mediaval Newari art and architecture rich for unique fusion of Hinduism and Buddhism. There is time to explore the city’s many places of interest with your guide or in your own or take a rest while trekking permits are finalized. Our Trek Leader/Guide meets you in the afternoon for the trek briefing and for the final trek preparation. In the evening sample a delicious traditional Nepali Welcome dinner in authentic Nepali Restaurant with the cultural dances that represents different customs and music instruments of Nepal. 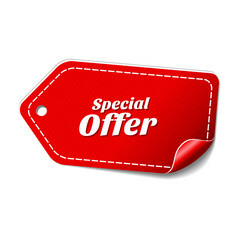 Private vehicle is there for you to pick up and drop in Hotel with our staff. Overnight Hotel in Kathmandu. Having had the breakfast we then take you to Charaundi east towards Kathmandu nearly three hours drive to start Rafting where our crews be waiting for you to start the exciting raft to Kuringhat. On the first day you have exciting raft briefing by your captain to raft nearly three hours experiencing white water rapids like Twins rock, upset, s –band, Ladies delights etc along with the accommodation in the River bank with the excellent cuisine prepared by our rafting crew. We continue our raft 10 am in the morning from Kuringhat with the light rapids first and then various exciting rapids on the way to Terai region of Nepal Our rafting crew serve you very delicious meals on the picturesque sandbank. Normally rafting ends at Gaighat in the sandbeach and time to relax, reading, chatting with the rafting crew. Today we pick you up from Gaighat to the ChitwanNational Park where you start the Jungle exploration that includes jungle penetration riding Elephant, National park briefing and slide show followed by typical Tharu Cultural Dance. (Tharus are the aborigines of the area). You start the jungle safari from early Morning as per the schedule of the Jungle resort having the break for the meals in between the scheduled Jungle Safari Activities. We have final Jungle activities in the morning. After the breakfast transfer by Lodge vehicle to the road head where we pick you up to drive in the Prithvi highway to Kathmandu. It takes nearly 5 hours scenic drive to Kathmandu. We pick you up early in the morning to transfer to Domestic airport for one of the “world’s must do” EverestMountain flight for an hour in distance of 5 nautical miles from the awe inspiring Mountains. Feel par excited till you are in the air. We pick you up after the Everest flight and transfer to Hotel.After the Breakfast, Leisure Time in Kathmandu .It’s indeed time for the souvenir hunting around Kathmandu’s noted places having optional trip to tranquil historic Heritages in your own or with us or with our versatile guide. We provide extra drive and drop services anywhere. 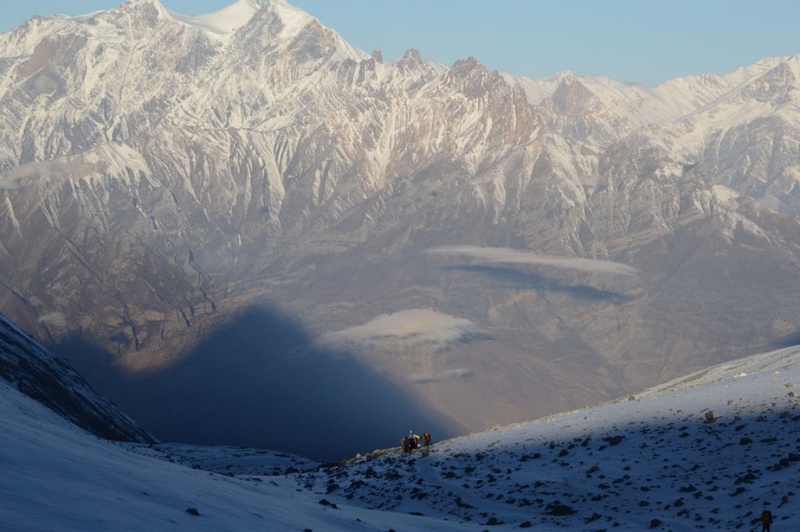 Trekking in Annapurna Circuit showcases one of Nepal's most mysterious and least known former kingdom, Mustang. The landscape of Mustang is a barren moonscape of eroded sandstone pillars and discontinuous moraine terraces, which together present a colorful mosaic principally made up of earthen reds, yellows and browns. 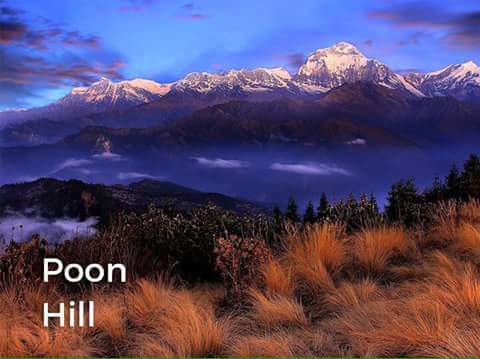 Annapurana Sanctury Trek is a spectacular venture into the south face of Annapurna through the diversified picturesque villages, neatly terraced fields, dense forests, flashy rhododendron bushes and roaring rivers, along a pleasant trails embellished with captivating mountains.